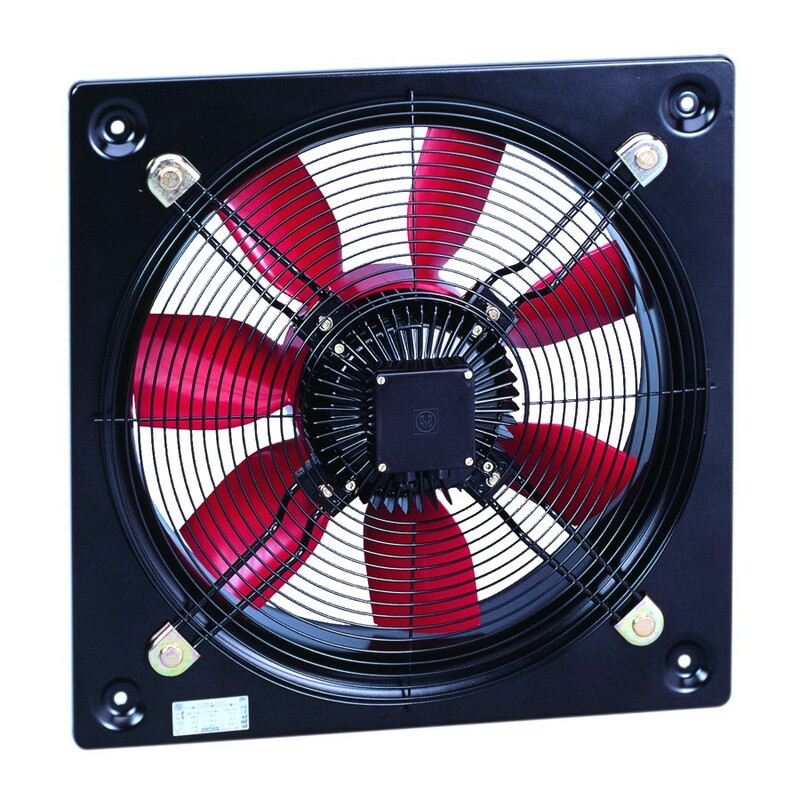 Range of low profile plate mounted axial fans fitted with aluminium impellers and single phase motor (HCBB) or three phase motor (HCBT), IP65 (1), Class F insulation (2), equipped with thermal protection (3). (1) Models 800, 900 and 1000 are IP55. (2) Working temperatures from -40�C up to +70�C. Except models � 800, 900 and 1000 suitable for usage in environments from -20�C to +40�C. (3) Except models � 800 to 1000. Available, depending upon the model, with single or three phase motors in 4 or 6 poles. All motors are speed controllable by autotransformer except models /4-630, B/710, T/4-710, T/800, T/900 and T/1000.Three phase models are speed controllable by inverter. Single phase 230V-50Hz. (Capacitor located inside the wiring terminal box). Three phase 230/400V-50Hz or 400V-50Hz (See characteristic chart). Inlet finger proof guard for models 800 to 1000.